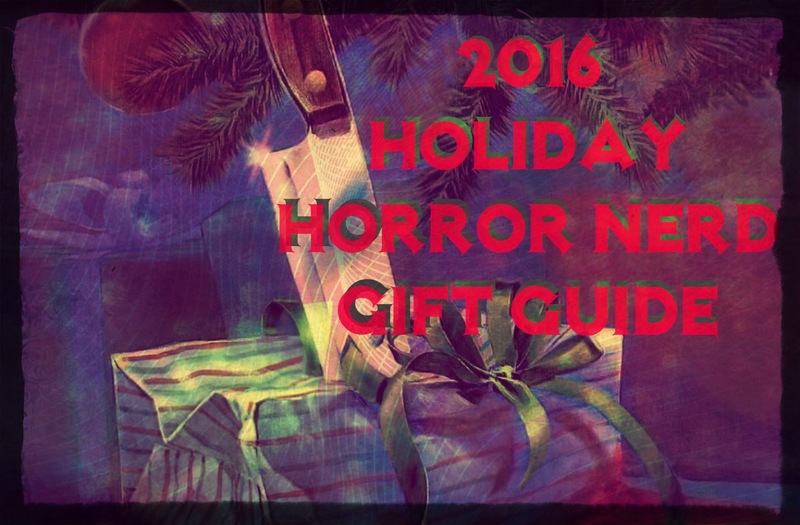 For those of you out there struggling to find the perfect present for that special horror nerd in your life, here is a rundown of some pretty awesome gift ideas. While I’m sure these are all things we would enjoy discovering under the tree come December 25th, this is basically my own wish list, so feel free to let me know if I should set up a PO Box. I’m joking, of course…mostly. Do you know someone who just moved? Did they realize the Feds were getting too close to unveiling their handy-work? Did the blood trail lead all the way to their front door? You know being a geographically specific serial killer is risky business. ANYWAY…chances are your friend is in need of some decor to spruce up their new crib. Nothing screams the Holidays like Gremlins. What better way to lounge around the Christmas Tree in front of a crackling fire than by resting your head on this cushy pillow? 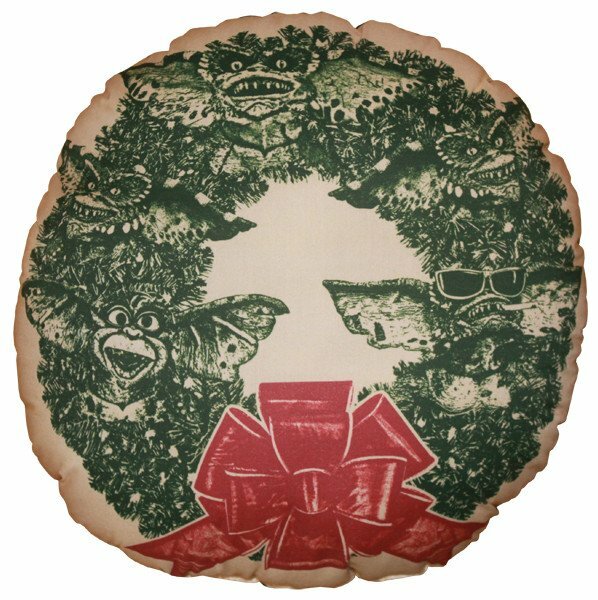 That person on your gift-list not a fan of Gremlins? Is that humanly possible? 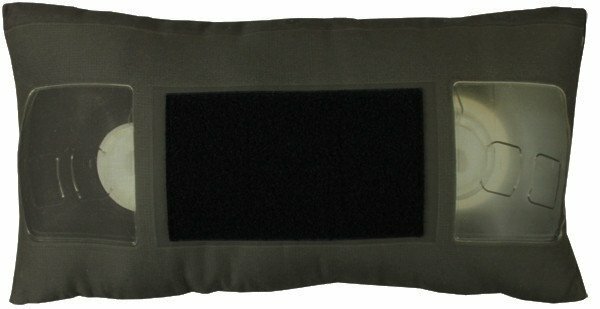 I dunno, but if so here’s an alternative option: an awesome throwback to those youthful trips to the video store, a VHS pillow! Not only does the pillow itself look like an actual cassette tape, but the front is interchangeable. 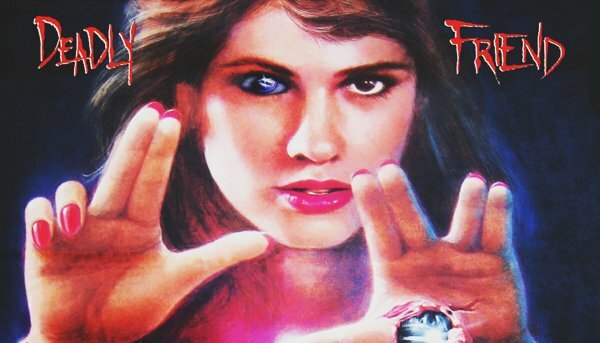 They’ve got labels for everything from Friday the 13th: Part 3, Return of the Living Dead, and even Dr. Giggles(?)! 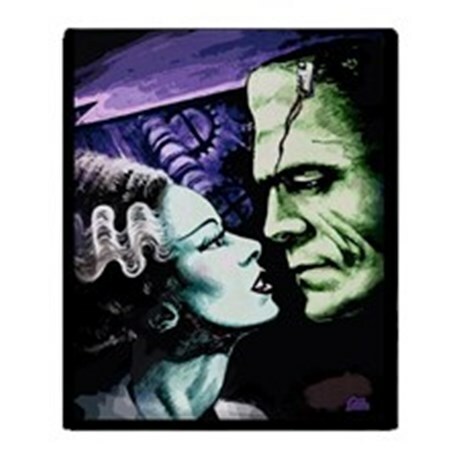 This gorgeous, comic book inspired image comes in a handmade, coffin-shaped frame. This piece is created by Bwanadevil, whose shop (here) features numerous horror pieces from Carrie to Stranger Things. They’re the perfect artwork to darken the walls of any devilish fiend’s humble abode. 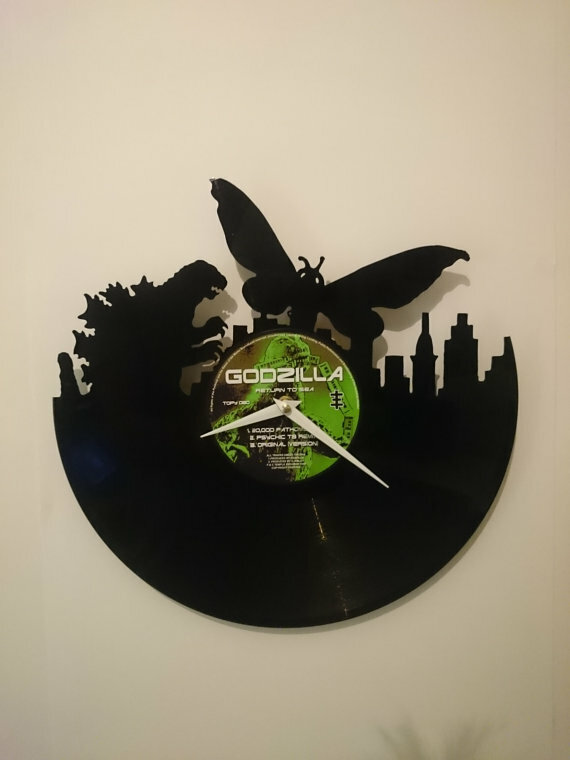 I’m a huge Godzilla nerd, and while the medium of a vinyl record might not make the most sense to portray a battle between The King of the Monsters and his biggest enemy (and sometime compadre), Mothra – this piece is still pretty amazing. Created to order by High5Design, it’s suggested orders are placed at least 3 weeks in advance of needed delivery. So if you’re planning to gift this to someone by December 25th, get on it! We all know we love it: storing up your months worth of loose change and pocket lint for that magical day when you finally get to cash it all in at a Coin Star machine. 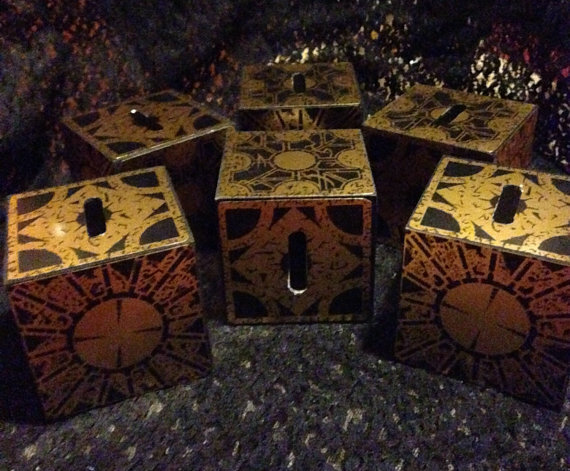 Why not store it up in this shiny Lament Configuration coin bank? 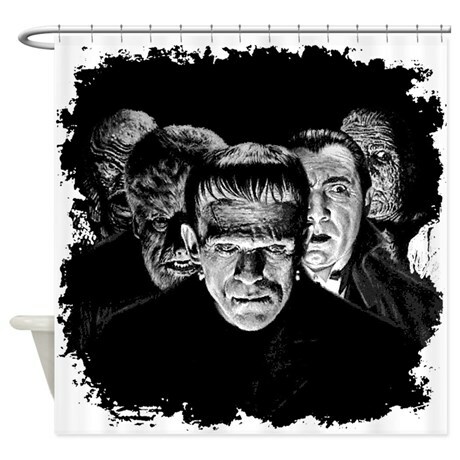 With this, you can rest easy knowing your sticky-fingered roommate would be too scared to go anywhere near it. Made to order by TheHorrorCorner. We haven’t forgotten about you classic movie lovers out there! Here in beautiful black and white is a line up of Universal’s best. Design by Sasha Alexander Keen. That’s just the tip of the gift-giving iceberg. Stay tuned next week for some more pestilent present ideas.